Services for Evelyn Duain Sanders, 81, of Wills Point, are scheduled for 11:00 AM, Thursday, August 23, 2018, at Pleasant Hill Baptist Church, with Reverend Lonnie C. Cunigan officiating. Burial will follow at Haven of Memories Memorial Park in Canton. Services are under direction of Hiett’s LyBrand Funeral Home in Edgewood. Evelyn passed away August 15, 2018, at her home in Wills Point. Evelyn Duain Rogers was born March 23, 1937, in Wills Point, TX, to parents, Cleveland Rogers and Octavia Dunn Rogers. She is a lifelong resident of Wills Point and attended Cartwright High School. Evelyn married William Sanders in August of 1954 and they had five children, all raised in Wills Point. She was employed as a care giver at Crestwood Nursing Home, Terrell Community Hospital and Terrell Rehab. She was also employed as a school bus monitor for WPISD for many years. 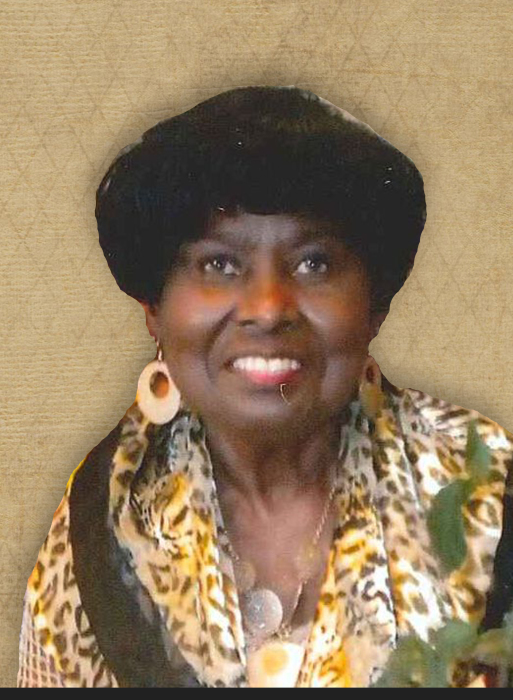 Evelyn was a member of Pleasant Hill Baptist Church and a faithful choir member. She started God’s closet, served on the decorating committee and the praise and worship team. Evelyn loved arts and crafts, visiting the sick and enjoyed cooking Sunday dinner for her children. She is preceded in death by her parents; sisters, Virginia Stafford, Ima Lyles and Bessie Earl Thomas; brothers, Julius Rogers, Johnny Booker Rogers and Otis Tucker; along with a granddaughter, Cynthia Sanders. Evelyn is survived by her son, James Sanders and wife, Linda, of Forney, daughter, Lorane Smith and husband, Gary, of Forney, daughter, Gwendolyn Lewis of Wills Point, daughter, Evelyn Wrenn of Kemp and Charles Sanders and wife, Tracie, of Wills Point; sisters, Maxine Wynne of Los Angeles, CA, Shirley McKinney of Los Angeles, CA and Edith Rogers of Frisco; brothers, Oscar Rogers of Wills Point and Johnny Rogers of Wills Point; grandchildren, Yolanda Sanders, Latoya Gray and husband, Kalvin, Markeshia Seck and husband, Lamine, MarTeshia Lewis, Desiree Wrenn, Kristen Wrenn and Charleston Sanders; great grandchildren, Trinitee Sanders Wooten, Elijah Seck and Sinia Seck. A wake will be held from 6:00-8:00 pm, Wednesday, August 22, 2018, at Hiett’s LyBrand Funeral Home in Wills Point.